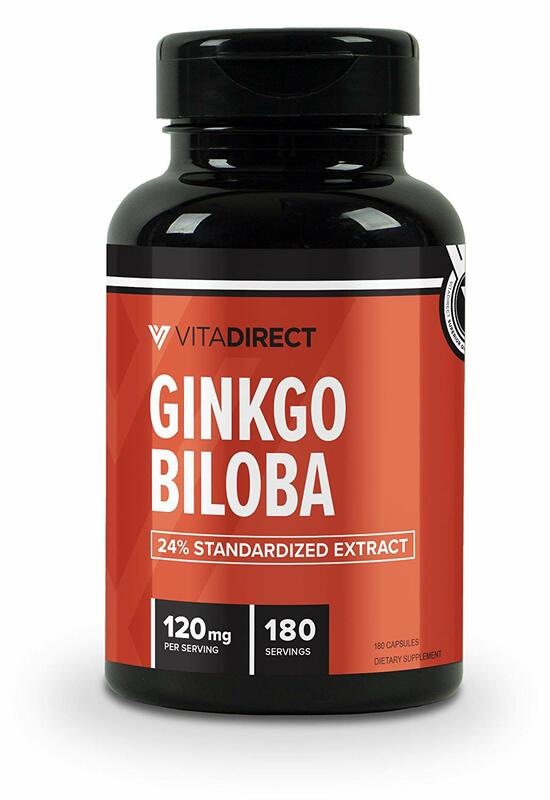 Best Ginkgo Biloba Supplements of 2019 Ranked! 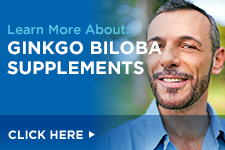 All Ginkgo Biloba Products 10 Best Brain Supplements Exercise and Nitric Oxide-Intrinsically Linked? Ginkgo biloba, sometimes referred to as just Ginkgo, is a health supplement that comes from the dried leaves of the Ginkgo tree. These trees are considered to be some of the oldest plants on the earth. It’s estimated that this type of tree has existed for more than 300 million years. These trees can each live for more than a thousand years. They originally grew in China, Japan, and other Asian countries. Since then, they have been transplanted and spread across the world. In ancient Chinese medicine, the fan-shaped leaves from the Ginkgo tree were used to treat many medical issues. Even today, Chinese doctors make a tea out of the leaves that is used to treat asthma, bronchitis, and other health problems. Many Ginkgo biloba supplements are created by extracting liquid from the dried leaves. Ginkgo biloba contains two main components: flavonoids and terpenoids. Flavonoids are a group of small molecules that are antioxidants. The job of antioxidants is to prevent healthy body cells from being broken down by… you guessed it, oxidants. These molecules can also reduce inflammation, allergic reactions, and more. Terpenoids are also antioxidants. They can help to relieve pain, reduce swelling, and may even be able to reduce cancer. No small feats from this funny little tree. Ginkgo biloba is a popular supplement that may be useful to help with many different health problems. These benefits are wide-ranging, and some of them have more science to back them up than others. Here are a few interesting ones that we found. One of the biggest potential benefits of Ginkgo biloba is increased memory and thinking ability. Ginkgo can increase blood flow to the brain, which can help to improve its functionality. Some studies say that Ginkgo biloba may protect nerve cells in the brain from becoming damaged. Ginkgo can make it easier for individuals to think and take in information. It can also improve social skills and make everyday activities more manageable. These benefits can help to improve your memory and increase your ability to focus. They may also increase your creativity. The benefits are especially noteworthy for treating dementia and Alzheimer’s disease. Taking Ginkgo can keep the sensors in the brain smooth, in good shape, and free of damaging plaque. Another major benefit of taking Ginkgo is improved blood flow to all areas of the body. Having good blood circulation helps to remove toxins from the body quickly, transport helpful cells to damaged areas, get more oxygen to the body’s cells, and more. Ginkgo improves blood flow by opening up the arteries and veins in the body and by making the platelets in the blood less sticky. Combined, these cause blood to flow more easily and quickly throughout the body to provide oxygen for your muscles and organs. Ginkgo biloba may also reduce the chance for heart problems, such as a stroke or heart attack. This is most likely due to increased blood flow and the effects of the antioxidants, which help to get rid of unhealthy or toxic cells. Improved blood flow makes it easier for the heart to pump blood to other areas of the body. Symptoms of anxiety and depression can also be affected by Ginkgo. Both of these conditions come with many side effects that can include nervousness, mood swings, panic attacks, and more. These side effects can have a huge impact on daily life, and Ginkgo biloba may be able to improve them. Taking Ginkgo can help your body better deal with stress by balancing your hormone levels. Be sure to note that if you are taking Xanax to treat these conditions, taking Ginkgo biloba at the same time may make this drug less effective. Good to know. Thanks, Google. 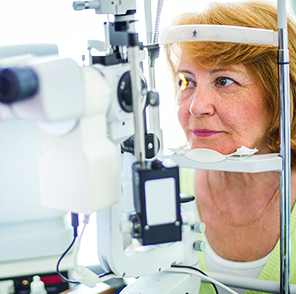 Increased blood flow not only helps the brain and heart, but it can improve your eye health too. Ginkgo biloba supplements can keep the cornea, macula, and retina healthier and thus keep your eyes working better for longer. It can also prevent total vision loss over time. Some studies have said that these antioxidants can prevent free radicals from breaking down and damaging the membrane of the eye. This is the main cause for reduced eye function, and taking Ginkgo can directly counteract it. Although Ginkgo may not be able to heal individuals with these eye conditions, taking it can help to prevent future issues. If you find that your muscles and joints begin to ache after exercising or standing for long periods of time, you may have poor circulation. This is especially common in the legs after long periods of walking. This pain is also known as peripheral vascular disease. Taking Ginkgo can improve your blood flow to reduce this pain. During exercise, the muscles use oxygen to keep the cells working and energized. Over time, if the muscles do not get enough blood flow, they can struggle to produce energy, causing pain. Ginkgo may ease this issue and help you be able to walk or be on your feet for a longer amount of time. Taking Ginkgo biloba extract supplements during a part of the menstrual cycle has been shown to lessen many of its negative side effects. These effects can be both physical and psychological. Some of these include breast tenderness, mood swings, and anxiety. While taking Ginkgo for a couple weeks each month will not get rid of all the symptoms, it may be able to help. Because of the antioxidants present in Ginkgo biloba, it can be a great way to keep yourself looking young. The antioxidants can slow down wrinkle formation, keep your skin tight, and maintain healthy skin. Extracts may also be able to get rid of scarring and improve your complexion. If you suffer from asthma or other respiratory diseases, such as chronic obstructive pulmonary disease (COPD), Ginkgo biloba may be an effective option for you to consider. It can reduce inflammation, which can help to open up the airways in the lungs. 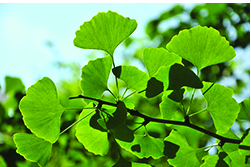 For similar reasons, taking Ginkgo can ease symptoms of bronchitis and reduce associated coughing as well. If you suffer from vertigo or feel dizzy often throughout the day, taking Ginkgo supplements may be able to help reduce these symptoms. This is most likely due to increased blood flow to the brain because of the blood vessels dilating. Some studies have shown that taking Ginkgo biloba supplements may be able to treat erectile dysfunction and low libido. Ginkgo can improve blood flow throughout the body and increase levels of nitric oxide in the blood stream. Nitric oxide also helps to open up the blood vessels. Benefits have been seen in both men and women for increased sexual desire. Ginkgo biloba supplements come in many forms. You can find them in capsule form, as a liquid extract, in a tablet, in tea bags, or as dried leaves. Ginkgo is not regulated by the Food and Drug Administration (FDA), so it is important to look at each supplement to make sure you know what you are buying. Whatever you do, don’t go out and eat the unprocessed Ginkgo leaves or the seeds from the plant. They are toxic to the human body. One of the most important things to look at when choosing an extract supplement is the percentage of flavonoids and terpenoids. Research studies often use extracts that contain 24 percent flavonoids and six percent terpenoids. Some products can range from 24 to 32 percent flavonoids and six to 12 percent terpenoids. Flavonoids can also be listed as flavone glycosides or heterosides, and terpenoids may be listed as triterpene lactones. Another key ingredient to look for is ginkgolic acid. This acid is toxic to the body and can damage DNA, increase cancer risk, and damage nerve cells. Be sure to select a Ginkgo biloba supplement that contains less than five parts per million of this ingredient. The amount of supplemental Ginkgo you should take varies widely, depending on who you ask, and ranges from as little as 40 milligrams a day to up to 600 milligrams a day. The dose you should take depends on your condition and its severity. In general, you should begin by taking no more than 120 milligrams of Ginkgo biloba extract each day. This will reduce the risk of experiencing any negative side effects. Take between 120 and 240 milligrams per day. , and divide this up into two or three doses. Single doses of between 240 and 600 milligrams have been taken. The most promising results are seen for doses between 120 and 240 milligrams per day taken consistently for one and to four months. Take between 80 and 160 milligrams per day for four weeks. Take 120 to 160 milligrams per day for six months. You can divide this dosage up to take it a few times per day. Taking between 120 and 240 milligrams per day divided into two to three doses provides the best results. A higher dose could cause better results, but it has not been tested thoroughly. Take 120 to 160 milligrams divided into two or three doses each day for about three weeks of every four. You should begin taking Ginkgo around the sixteenth day of the menstrual cycle. In general, taking a Ginkgo biloba supplement is safe and does not come with many negative side effects. The most common way to take it is by mouth. Some minor side effects that may occur include an upset stomach, headache, dizziness, nausea, or an allergic reaction. 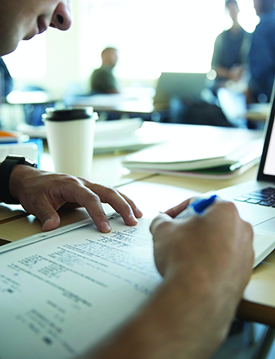 Thus, we always suggest that people start with a small dose and work their way up to the amount that they want to be taking on a regular basis. If you have a bleeding disorder, a healing wound, or are planning to have surgery, you should not take Ginkgo because it may cause extra bleeding. If you are taking other medications that can affect your blood’s ability to form clots, you should also avoid taking this. These medications include ibuprofen, aspirin, Advil, warfarin, and others. If you are pregnant, you should not take Ginkgo. It has not been studied for women who are pregnant or breast feeding. You should avoid taking it to prevent any potential side effects. 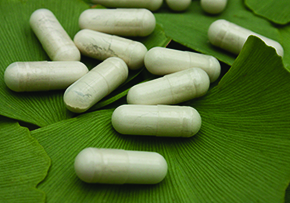 Ginkgo biloba supplements have also not been tested for use by children, so they should avoid taking it as well. Our top 10 list of Ginkgo biloba supplements is organized to reflect what you most value in your supplements. First and foremost is quality. All of our top ten supplements meet high standards of quality and come from brands with a proven record in excellence and purity. Another important factor in deciding the top ten was cost. You don’t have to pay through the nose to get a high quality Ginkgo biloba supplement. In addition, all the companies represented on our list have stellar records with customer service and prompt shipping. This ensure that your supplement experience is enjoyable from the first click to your final dose.